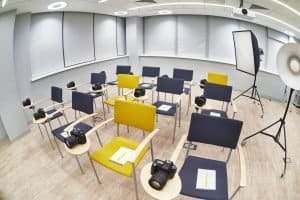 Whether you have been snapping pics for as long as you can remember or have just developed an interest in photography, you can use photography classes in order to improve your experiences. From improving the photos you snap when out with friends to developing a lucrative career in photography, you can benefit from your education in multiple ways. You can find classes available online and in most communities. You will need to think about which will best serve you. For instance, do you need to have a class with a flexible schedule due to other commitments in your life? What type of budget do you have and how does that impact which photography courses you can actually take. If you want to take more than one class, you can either take them at the same time or spread them out. This will depend on your finances, time and the amount of practice you will need developing certain skills before you move on to more advanced techniques in a particular practice. You should peruse the options that are available through your local community centers, colleges and other facilities where educational endeavors are often hosted. List them out and figure out which you want to attend. Place the list in order of priority. When doing this, you can also make a special wish list of classes and things related to photography that are currently beyond your budget but that you would like to incorporate at some point if the funds become available. Who knows, you might decide that you enjoy the art enough to make more money to fund your educational endeavors regarding photography. In fact, if you are able to develop your skill enough, you will find that you can make some good money from your efforts. If this sounds like something of interest to you, then it is important that you consider what types of photos you could specialize in taking. For instance, are you planning to take event photos, such as weddings and parties? Perhaps you would prefer to work with nature scenes. On the other hand, urban photos are quite the hit these days and can sell quite well online if you have the right eye for these pieces. Take the time to investigate and understand your options before you start. Understand the basics regarding your camera and the process. Then, start honing your skills so you can become better and better. Over time, you will become significantly improved and appreciate the time you spent taking classes. Make sure that you have the proper equipment and accessories as you attend the various offerings available to you. While you might think you can make do without some of the things, you will diminish your experience and get less from your investment. Wait until you have everything necessary for a complete experience when you take your local photography classes. Then, you can become truly skilled at this amazing art and provide beauty to the world.